The Drawing Center presents Drawing Dialogues: Selections from the Sol LeWitt Collection, an exhibition featuring over one hundred works by more than sixty artists from the renowned artist’s extraordinary collection. It is the first large-scale exhibition of the collection to be held in New York in over thirty years. 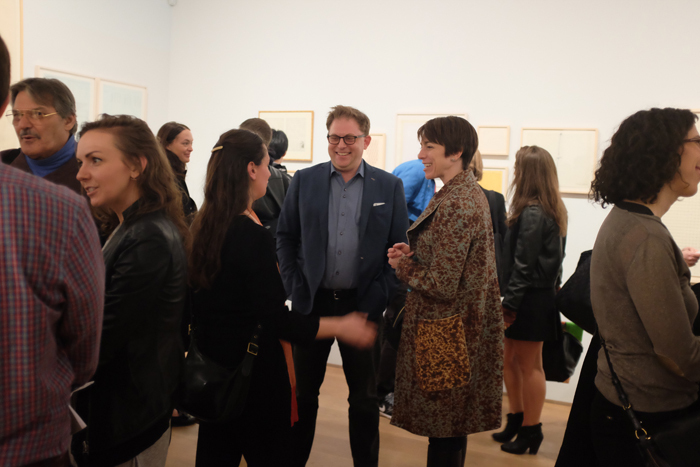 The Drawing Center show concentrates on minimal and conceptual drawing, which forms the core of the collection, with classic examples from key figures like Mel Bochner, Hanne Darboven, Eva Hesse, and Lawrence Weiner. 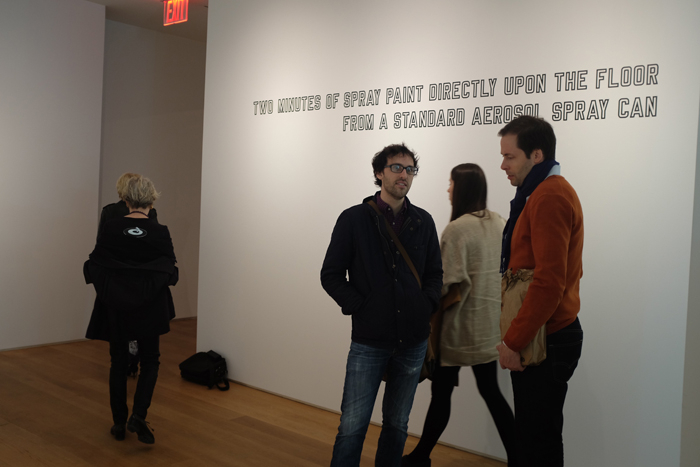 It also includes works by artists such as Alighiero Boetti, Jan Dibbets, Kazuko Miyamoto, and Fred Sandback that investigate mark-making in unexpected materials and formats. 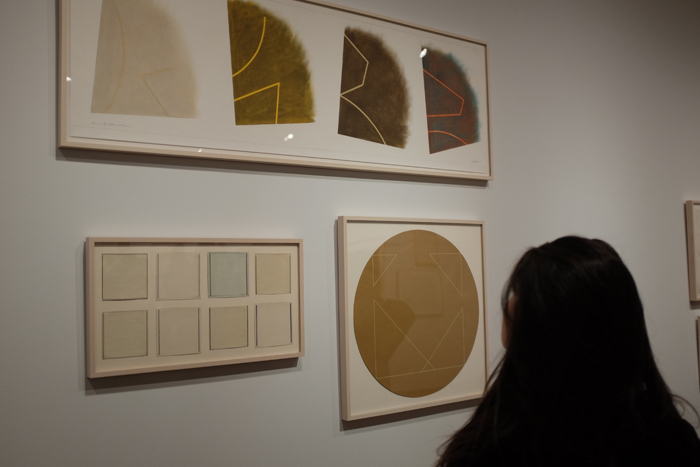 In addition to exploring cross-connections among LeWitt’s peers, the exhibition presents contributions by older artists whose methods inspired LeWitt, as well as younger artists whose approaches are in dialogue with earlier generations while extending the medium in new directions. Finally, the exhibition features select works by LeWitt himself—including a wall drawing—that resonate with the other objects on view. Presenting work in drawing, sculpture, photography, print, and installation, Drawing Dialogues: Selections from the Sol LeWitt Collection re-examines minimal and conceptual art and the parameters of the drawn medium through the organizing lens of one of its greatest practitioners. 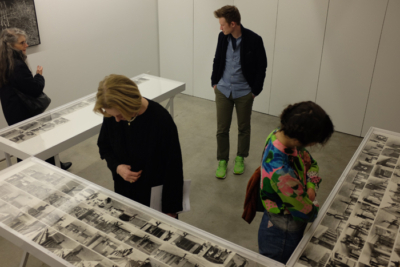 Curated by Claire Gilman, Senior Curator at The Drawing Center, and Béatrice Gross, Guest Curator and LeWitt scholar. 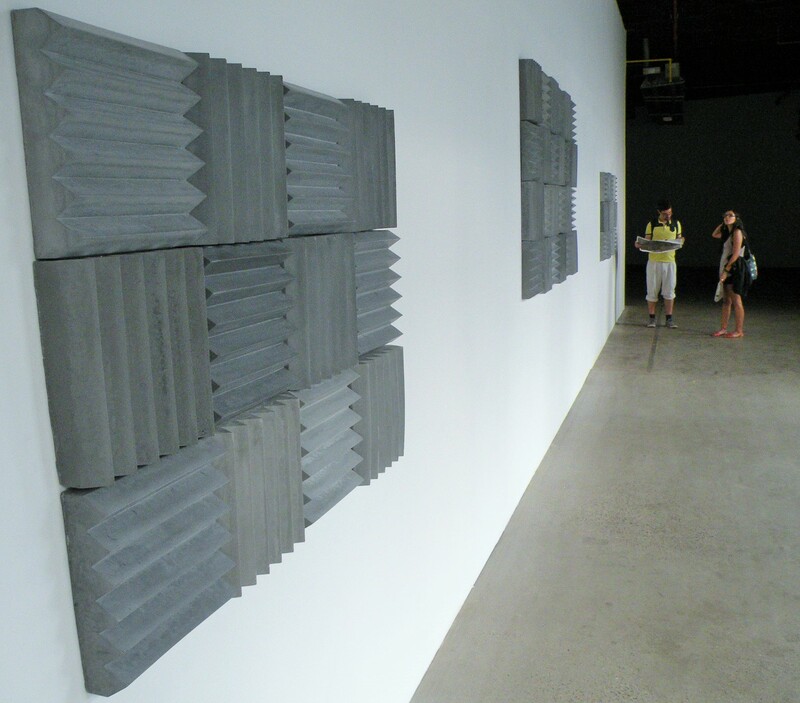 Alvin Lucier in the Lab gallery. 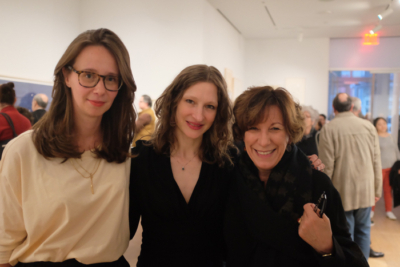 (L to R) LeWitt Collection co-curators Béatrice Gross and Claire Gilman with Carol LeWitt (Sol LeWitt’s widow). Sol LeWitt’s status as one of the paramount American artists of the past half-century is well established. 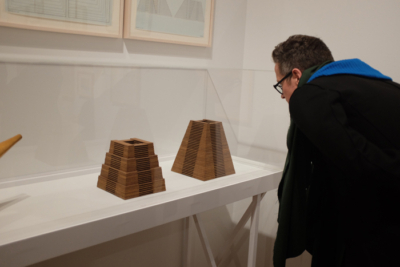 What is less known is that LeWitt was also an avid collector who during his lifetime amassed an extraordinary ensemble of over 4,000 pieces by approximately 750 artists through purchase, exchange, and gifts. The majority are works from the 1960s and 1970s by LeWitt’s friends and peers who he admired and encouraged; but the collection also reaches backwards and forwards from that time to embrace art from other periods and cultures. The LeWitt Collection is a remarkable example of an artist’s extraordinary curiosity and generosity, perhaps the truest portrait of a man who was notoriously private but who dedicated himself to his artistic interests and relationships. 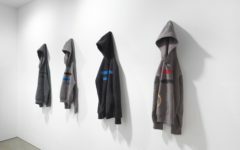 It is also a portrait of artistic developments in the 1960s and 1970s, when European and American minimal and conceptual art came into their own. Indeed, the collection can be viewed as a lived archive of the world in which LeWitt moved and worked, even as it examines the possibilities for conceptual art across media, disciplines, and time periods. William Anastasi, Carl Andre, Stephen Antonakos, Richard Artschwager, Alice Aycock, Jo Baer, John Baldessari, Robert Barry, Gene Beery, Franco Bemporad, Mel Bochner, Alighiero Boetti, John Cage, Enrico Castellani, Lucinda Childs, Chuck Close, Hanne Darboven, Honoré Daumier, Jan Dibbets, Peter Downsbrough, Sam Durant, Jackie Ferrara, Dan Flavin, Charles Gaines, Gilbert & George, Philip Glass, Dan Graham, Nancy Graves, Hans Haacke, Eva Hesse, Channa Horwitz, Shirazeh Houshiary, Ray Johnson, Donald Judd, Alex Katz, On Kawara, Emily Kame Kngwarreye, Jannis Kounellis, Jacques Lacombe, Clarence John Laughlin, Barry Le Va, Sol LeWitt, Jane Logemann, Richard Long, Lee Lozano, Alvin Lucier, Robert Mangold, Mario Merz, Kazuko Miyamoto, Ree Morton, Eadweard Muybridge, Maurizio Nannucci, Giulio Paolini, Henry Pearson, Adrian Piper, Sylvia Plimack Mangold, Steve Reich, Dorothea Rockburne, Fred Sandback, Jan Schoonhoven, Robert Smithson, Pat Steir, Allyson Strafella, Old Tutuma Tjapangati, David Tremlett, Georges Vantongerloo, Bernar Venet, Ruth Vollmer, Lawrence Weiner, Hannah Weiner, Franz West, and Utagawa Yoshiiku. Sol LeWitt (1928–2007) was an American artist and a pioneering figure within minimal and conceptual art. His instruction-based wall drawings and modular structures emphasize the importance of idea over finished result and distill form to its primary elements: line, color, and shape. Though LeWitt worked in drawing, photography, printmaking, and sculpture over the course of his career, he is perhaps best remembered for his wall drawings whose linear instructions can be carried out by others thereby underscoring his lifelong commitment to collaborative artistic production. Both as a young artist living in New York and throughout his career, LeWitt acquired work by practitioners he admired and who were often his friends. His curiosity and generosity were an inextricable part of his artistic legacy. 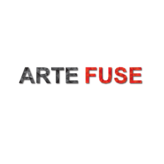 The Drawing Center will present Inevitable Music by the French composer Sébastien Roux. Roux’s piece, a soundscape created by translating Sol LeWitt’s instructions for wall drawings into a layered electronic score, will highlight the link between drawing and musical notation that is visible in a number of works collected by LeWitt. 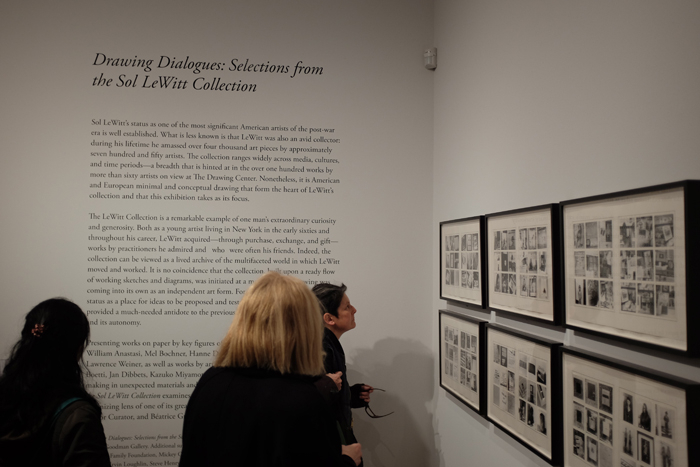 Join the curators of the exhibition, Claire Gilman, Senior Curator at The Drawing Center, and Béatrice Gross, guest curator, for a walkthrough of the show. Thursday, May 12, 6–8pm, FREE | first come, first served | 20 people max. 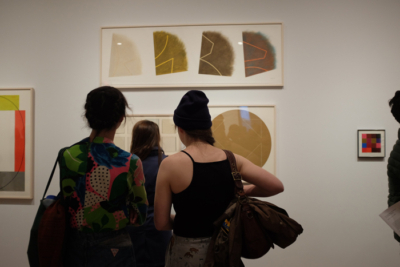 In a workshop led by Fritz Horstman, Artist Residency and Education Coordinator at The Josef & Anni Albers Foundation, The Drawing Center will explore the influence of Josef Albers’ color theory on artists included in Drawing Dialogues. The German-born artist Josef Albers is remembered for his work as an educator at the Bauhaus, Black Mountain College, and Yale University and for his book Interaction of Color, a foundational text on color and perception. 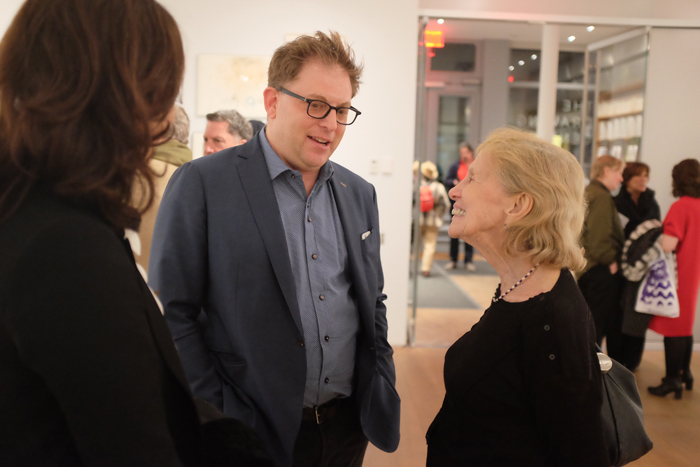 Drawing Center Director Brett Littman and his wife Kara Vander Weg. To accompany Drawing Dialogues: Selections from the Sol LeWitt Collection, The Drawing Center will produce an extensively illustrated edition of the Drawing Papers series, featuring essays by Claire Gilman and Béatrice Gross. 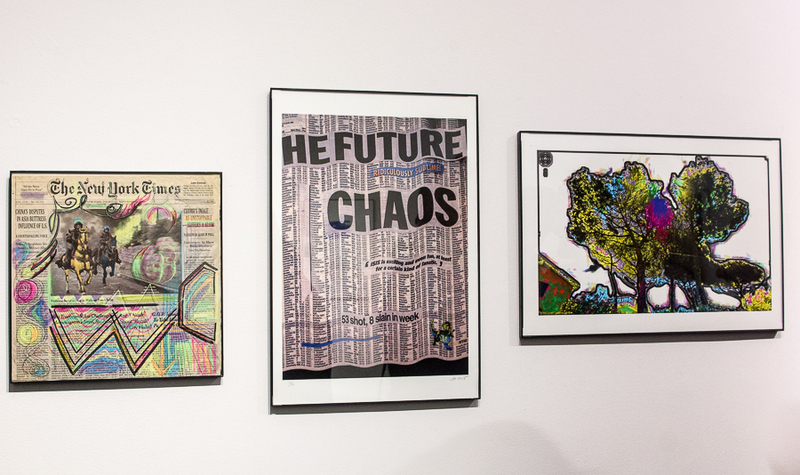 The Drawing Center’s bookstore will also have a selection of artists’ books from Printed Matter available for sale. 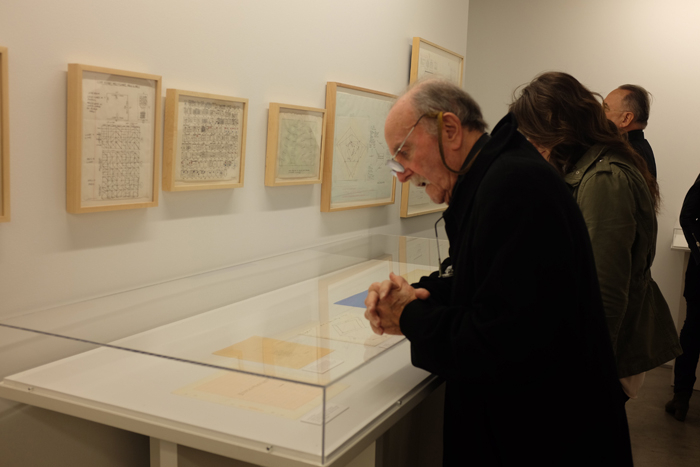 Drawing Dialogues: Selections from the Sol LeWitt Collection is made possible by the support of Marian Goodman Gallery. Additional support is provided by Agnes Gund, Wynn and Sally Kramarsky, the Kraus Family Foundation, Mickey Cartin, Christie’s, Carol Saper, the Evelyn Toll Family Foundation, Kathleen Irvin Loughlin, Steve Henry and Philip Shneidman, William and Donna Acquavella, Paula Cooper Gallery, Gabriella de Ferrari, Tony and Gail Ganz, Rhona Hoffman Gallery, Donald B. and Catherine C. Marron, Leon B. and Cynthia H. Polsky, Emily Rauh Pulitzer, Richard Roth, Michael and Nancy Rosen Blackwood, and Pat Steir. 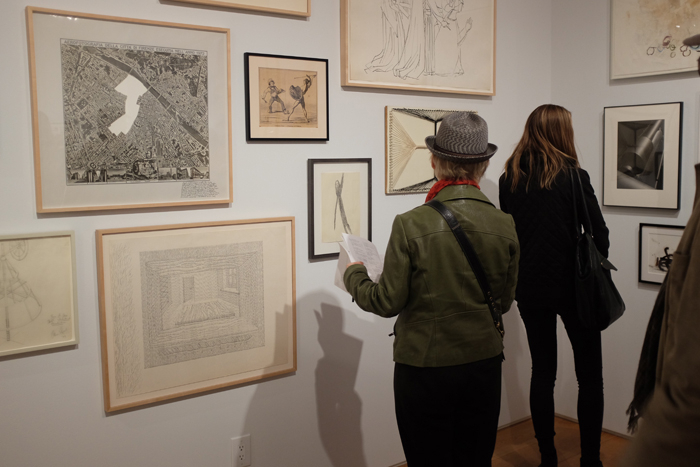 The Drawing Center, a museum in Manhattan’s SoHo district, explores the medium of drawing as primary, dynamic, and relevant to contemporary culture, the future of art, and creative thought. 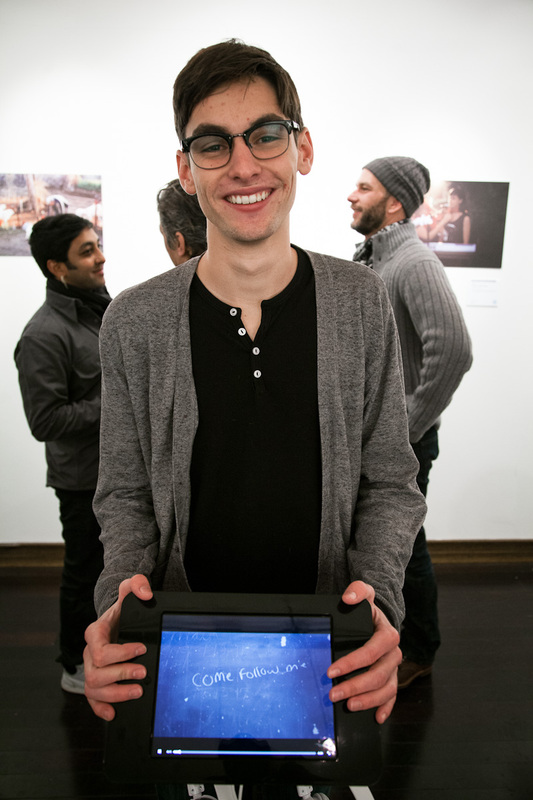 Its activities, which are both multidisciplinary and broadly historical, include exhibitions; Open Sessions, a curated artist program encouraging community and collaboration; the Drawing Papers publication series; and education and public programs. 35 Wooster Street between Broome and Grand Streets in SoHo, New York. Gallery hours are Wednesday-Sunday 12pm–6pm, Thursday, 12pm–8pm. 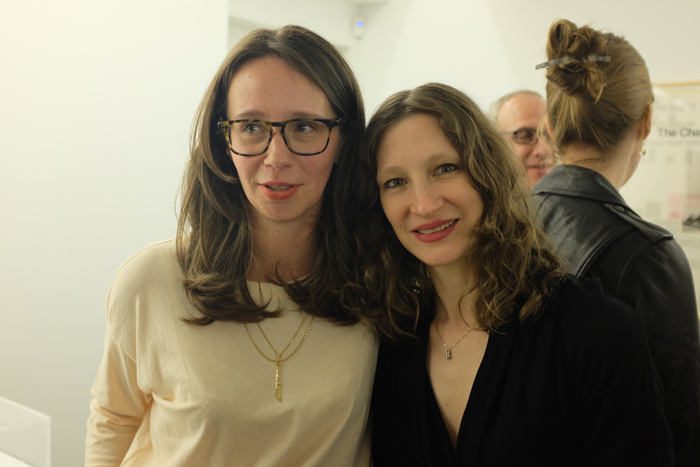 L to R: LeWitt Collection co-curators Béatrice Gross and Claire Gilman. 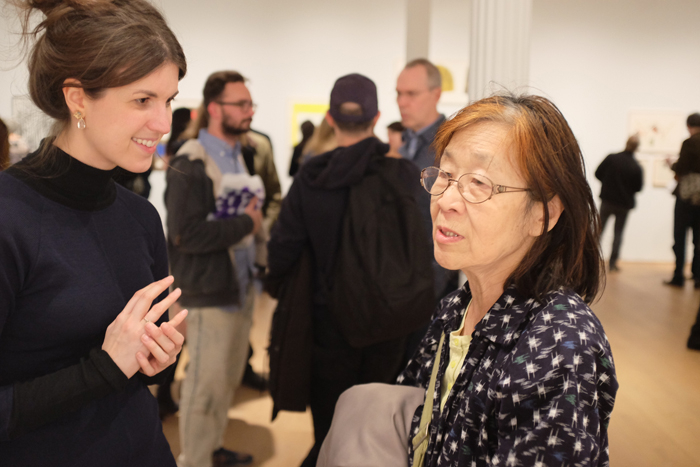 L to R: The Drawing Center’s Amber Moyles and artist Kazuko Miyamoto. 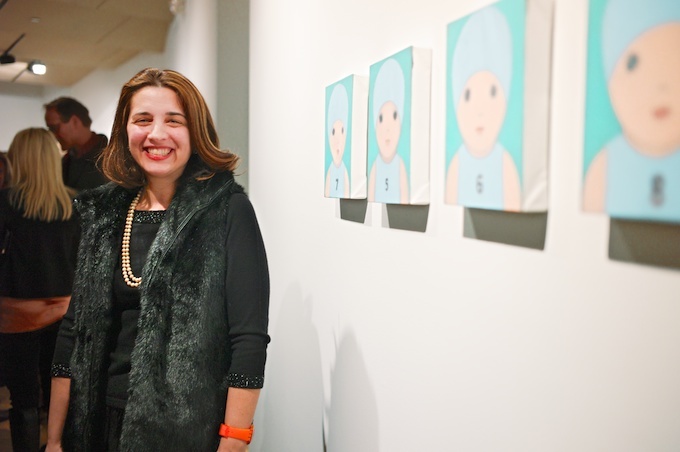 The Drawing Center’s Brett Littman and artist Dorothea Rockburne.